The Dutch Masters brand of naturally wrapped cigars began being sold in the United States back in 1911. 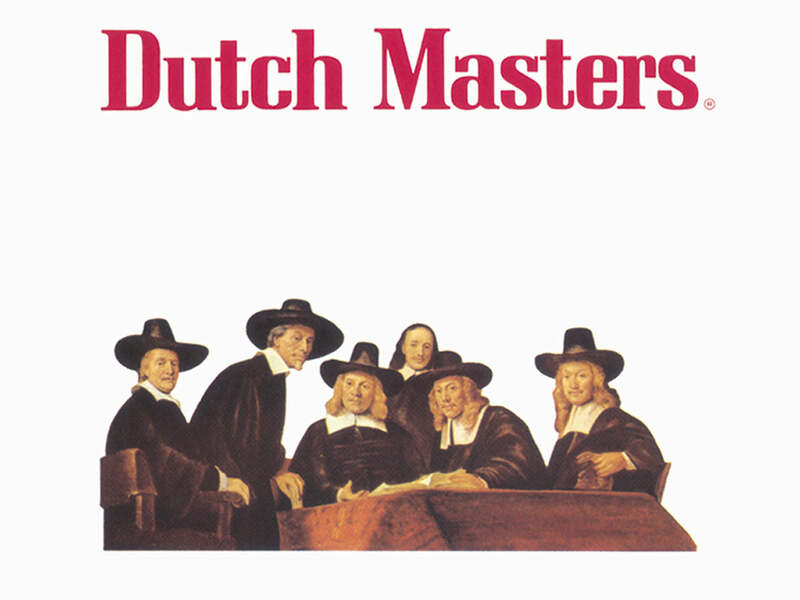 The brand is known by many due to its unique packaging that features Rembrandt’s 1662 painting known as The Syndics of the Drapers’ Guild (De Staalmeesters). The men in the painting are known as drapers, and they were elected to determine the quality of cloth that weavers offered for sale to members of their association. There were four grades of quality, and a cloth’s quality was shown by the number of seals pressed into it. Four seals was the highest quality, while one seal meant it was of the lowest. 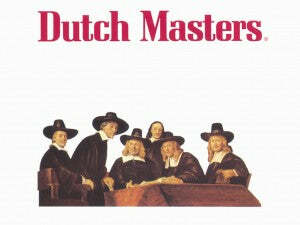 Dutch Masters cigars were originally produced by the G.H. Johnson Cigar Company. However, in 1921, the brand name became a member of the Consolidated Cigar Corporation when the G.H. Johnson Cigar Company decided to merge. Today, the cigar brand is manufactured by Atladis, since the Consolidated Cigar Corp. formed with them after a merger in 1999 concerning French and Spanish tobacco monopolies. Through this long history, the cigar brand has become known as one of the most well-liked and well-off cigar brands in America. The cigar company became well known in the late 50s and early 60s through its sponsorship of television projects for Ernie Kovacs. His silent commercials brought popularity and notoriety to the brand. Among the many cheap cigars that are available today, this brand is very well known. If you are looking for affordable, great tasting, and satisfying cigar, this brand has many different types and flavors to try. Their cigars are machine made, and each one of the Palmas, which is a very popular type, comes in an individual foil wrap to guarantee freshness. In the Palmas, Cuban seed tobacco is used. Interestingly, Palmas do not feature a band, but each cigar comes pre-punched for the smoker’s convenience. The vanilla Palma cigars have been America’s best selling naturally wrapped cigars since 1911. These cigars are inexpensive, and they feature a rich and creamy smoke with notes of vanilla. For those looking for a quality cigar that you can find in pretty much every convenience store or gas station, you can find this brand of cigars almost everywhere. Look to the reliability and quality of Dutch Masters cigars when you are looking for a cheap cigar that you can trust. With so many different flavors to try, the brand has the variety that cigar smokers are looking for to keep coming back for more. As one of America’s favorite machine-made cigar brands since 1911, they serve as great go-to smokes that are very reasonably priced.